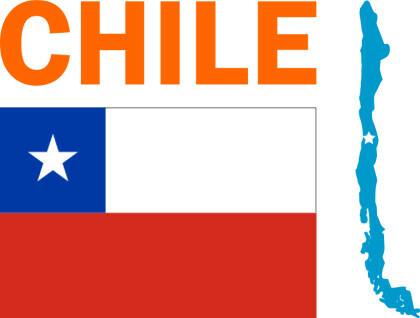 Chile is an amazing South American country with a unique shape. This beautiful country has a short width (just 177 km) but it extends north and south for over 4,270 km – making it one of the longest countries in the world. So travelling in Chile as a tourist could require rather long bus rides. However, from the capital, Santiago, to all the great lakes, mountains, valleys, national parks and coastlines, you will definitely enjoy your tour of this great country. Here are some of the things you should do and see in Chile. Santiago is one of the fast growing cities in Latin America and you should explore it first before you move to other parts of the country. Set within the great Andes mountains, Santiago is basically flat but it has two hills in the centre of the city that offer you stunning views of the entire city. One of these hills, Cerro Santa Lucia, has majestic fountains, scenic gardens, European-style castles, and exquisite Spanish tile work. From this hill, you can have a good overview of the entire capital. Other important places you should visit in the capital include: the Mercado Central market, the Plaza De Armas, and Santiago’s central plaza that houses buildings with amazing Spanish architecture like the central post office, and the city’s main cathedral. You should also take time to visit the city’s beautiful green parks and museums. Football is the most popular sport in the entire country. As you move around, you will see so many kids playing football on the streets. After spending a few minutes with them, the next question they ask you is: “what is your club?”. Chileans follow football with a passion. That is why hosting the 2015 Copa America tournament – the main international football competition for South American national teams – has attracted a lot of attention. This year from June 11 to July 4, twelve nations will be competing to lift the Copa America trophy and be crowned the champions of South America. From eight different cities: Santiago, Antofagasta, Vina del Mar, La Serena, Rancagua, Concepcion, Temuco, and Valparaiso, you will be able to enjoy live football action. Great stars like Lionel Messi, will showcase their skills during this tournament. You can find tickets for this exciting live action here. Valparaiso is Chile’s historic seaport and it served as the entry point for most of the Spanish, German and English sailors who made regular trips to Chile from the 18th century. This unique city, with over 40 hilltops, was one of the most significant world trading ports in the 19th century and it is now a UNESCO World Heritage Site. Amazing colour and grandeur awaits you in this unique city. On your first visit, you would have to explore the hillside funiculars, ascensores, and the interconnected cobble-stone streets and narrow alleys with care so you don’t miss your way. The streets and side walks are full off colourful street art that will keep your eyes occupied all day. These are by no means the only places you should visit or explore during your trip to Chile. But you will be happy to start off with them. If you have more time to take longer journeys, you should endeavour to visit the Elqui Valley, the Lake District and National Parks, and San Pedro de Atacama, a beautiful city near the driest desert in the world.